Ideal for use in Automotive workshops for use with light & self collapsing grease upto NLGI no. AIRTEK, renowned leader in lubrication pumps provides a complete range of performance proven Grease pumps. Our pumps are renowned for their versatility and ease of use. 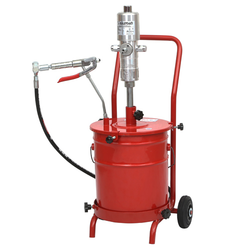 Srujana Industrial Marketing associates is the leading supplier of Air Operated Grease Pumps. The available models are GP1, GP2, GP3, GP1/ST, GP2/ST, GP3/ST. Backed by rich industry experience and market understanding, we are involved in offering a wide array of Grease Pump to our valued patrons. Air Grease Pump is designed and developed in accordance with national market trend and keeping in mind the precise demands of clients. 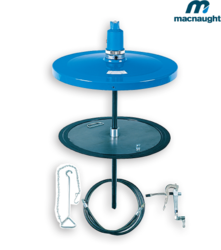 As a customer-focused organization, we are providing a wide array Grease Pump. - Maitreya’s multiple port pump is a device to deliver predetermined amount of oil/grease from different plungers at high pressure to all lubrication points independently.